Section Menu...Our Team • Additional Information on Mark R. Katlic, M.D., M.M.M., F.A.C.S. Dr. JoAnn Coleman serves as the Clinical Program Coordinator of the Sinai Center for Geriatric Surgery. She has worked the majority of her professional career caring for surgical patients, from preoperative assessment through postoperative follow-up at The Johns Hopkins Hospital. She has been a clinical nurse, nurse manager and then a clinical nurse specialist in general surgery. Dr. Coleman’s special interests include surgery in the older patient, hepatobiliary and pancreas surgery, transitions in care, palliative and end-of-life care. 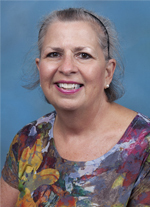 As a nurse practitioner for the past 18 years, she has coordinated clinical care of patients, provided education to patients and their families; collaborated on research with surgeons, maintained data bases, created critical pathways, lectured locally and nationally, contributed to the nursing and medical literature, and mentored graduate and undergraduate nursing students. Dr. Coleman helped develop and then coordinated the Pancreas Multidisciplinary Cancer Clinic at the Sidney Kimmel Comprehensive Cancer Center at Johns Hopkins for three years. Seeing the rise in surgical care of the older patient she focused her doctoral studies in this area and was fortunate to find a nursing position that allows her to collaborate with surgeons interested in the care of these patients. She now performs geriatric preoperative assessment for patients 75 years and older, which includes functional, cognitive, and psychosocial assessment, nutritional status, fall and delirium risk, and frailty assessment. Dr. Coleman now focuses on improving the care of the older surgical patient. She has lectured extensively on surgical nursing topics, and most recently presented abstract and posters on the topic of the preoperative assessment of the older adult to the Oncology Nursing Society National Conference on Cancer Nursing Research, Nurse Practitioner Association of Maryland, National Gerontological Nursing Association, Gerontological Advanced Practice Nurses Association, Geriatric Society of America, and the American Geriatric Society.